The infant carrier for maximum safety. Like its bigger brother, the RECARO Profi racing shell, the continuously adjustable RECARO Young Profi Plus baby shell provides optimum safety for your child in the car, despite its light weight. The ergonomic foam comfort padding, comfortable carry handle, and practical rocker function ensure guaranteed fun. 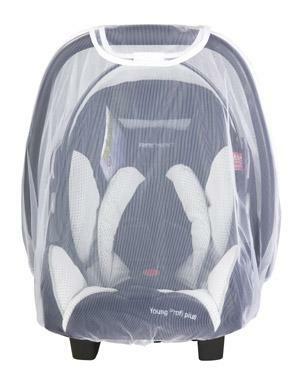 Can be secured in the vehicle using the RECARO Isofix system or the vehicles 3-point seat belt. Colours and shades may vary on PC monitors.